Where Is the Affordable Housing? Brilliant “Play Has No Limits” Program Idea By 1st Graders! What To Do When A Tornado Warning Is Issued… Very Timely Information! 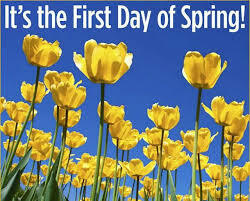 Spring arrives at 12:15pm today!